President Donald Trump has already dropped bombs in Iraq, Syria and Yemen, but two Democrats in Congress are raising the prospect of him unleashing the nuclear arsenal, too. Their bill calls for a proper declaration of war before any preemptive strike. The bill requires a congressional declaration of war before the president can launch a nuclear weapon, except in defense against an incoming nuclear attack. Specifically designated in the Constitution, the Congress’s power to declare war is widely regarded as a relic in Washington, DC, as the legislative branch has only authorized, or abdicated, the power to go to war since World War II. 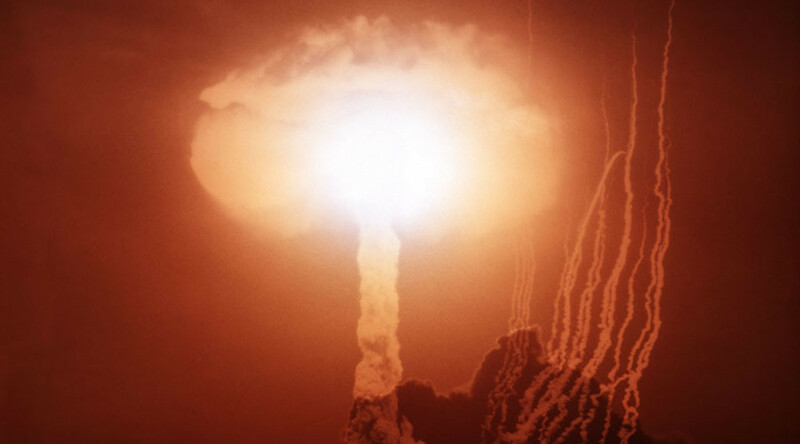 As far as nukes go, however, there have been attempts in recent years to rein in the executive branch’s control over aggressive military operations. The Global Security Program at the Union of Concerned Scientists and the Ploughshares Fund are among the groups supporting this legislation. Tomorrow @SenMarkey & I are introducing legislation to restrict a #nuclear first strike. #debatenight#Debates2016 B/c we are scared. Markey and Lieu introduced their bill immediately following those September remarks, but brought it up again in the first week of Trump becoming president, receiving more press coverage. The bill has support from former Defense Secretary William Perry as well as five other prominent pro-disarmament groups.